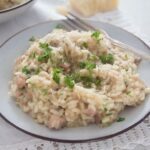 A very quick and easy risotto recipe using leftover turkey from your Thanksgiving or Christmas dinner. I don’t even cook a whole turkey, but still I always have enough leftovers to make at least another meal with them. 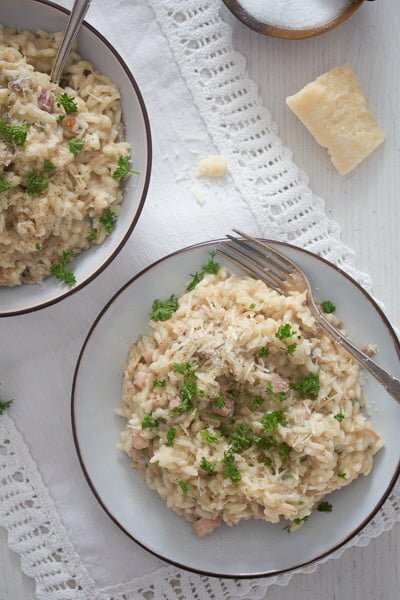 Most of the times I go for soups, salads or our favorite leftover turkey fricassee, but a risotto with leftover turkey is a great choice as well. How long to store leftover turkey in the fridge or in the freezer? To make all these delicious dishes, you will need to properly store the leftover turkey meat. If you plan to use the turkey meat during the next days, the fridge is the best option, you will not have to freeze the rests. Leftover turkey will keep in the fridge for 3 or 4 days. To ensure that the meat is still safe after storing it in the fridge, make sure you refrigerate the rests within 2 hours after finishing cooking it. Considering that you will eat roasted whole turkey or any other roasted turkey parts hot from the oven, the 2 hours period of time should not be an issue. To refrigerate the turkey I usually cut the leftovers into smaller parts, remove the bones (and freeze them immediately in order to make turkey stock at a later time) and slice or shred the remaining meat. Usually I slice the turkey breast and shred the meat from the legs. I store the leftover turkey meat in airtight containers and make sure to use it during the next 2 to 4 days. I hardly ever need that long, normally I cook a nice meal with the leftover turkey the next day and eat any other smaller scraps on sandwiches or in salads. However, mostly at Christmas, I don’t manage to use the leftover turkey meat during the next days, the main reason for it being that we are either invited or have guests ourselves almost every day between Christmas and New Year. So, we either eat elsewhere or cook fresh for guests. In this case, I freeze the leftover turkey meat. I keep the breast meat and the leg meat separately and pack it (again within 2 hours after finishing cooking it) in airtight containers. I make sure that I have between 250 g/ 8.8 oz and 500 g/ 1.1 lbs in each container (between 2 and 4 cups of chopped meat), it is about as much as I usually need to cook a leftover turkey recipe. The ingredient list is not particularly long. Also most of the ingredients are stuff you probably have in the house already. 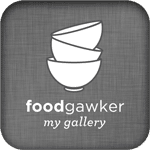 First of all, you will need the leftover turkey meat, but if you landed here, on this post, than you probably have the leftover turkey or know that you will have it soon. 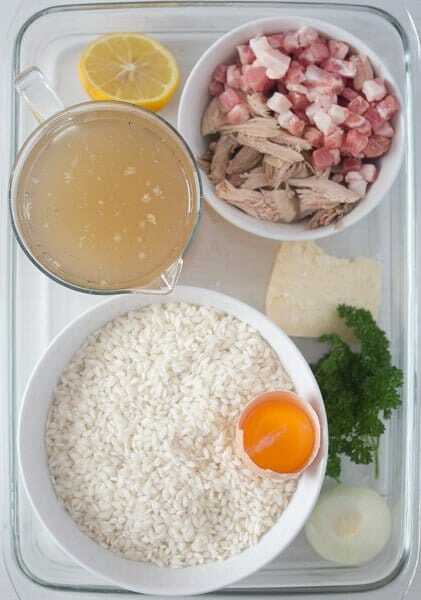 However, keep in mind that you could definitely cook this risotto with leftover chicken, from a roast chicken, for instance. 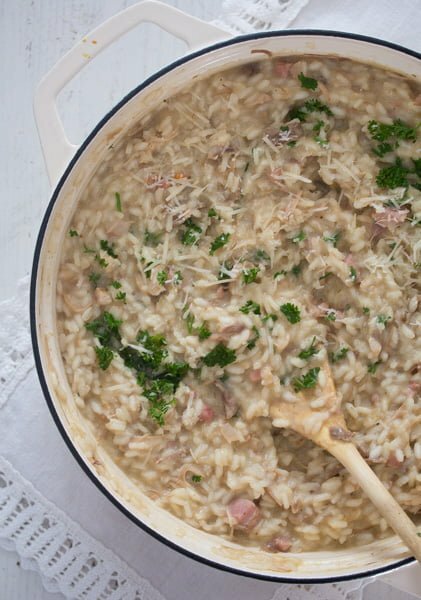 I used about 300 g/ 10.6 oz/ about 1 ½ cups leftover turkey meat to make this risotto, but if you have a little more or a little less meat, it will be perfectly fine. 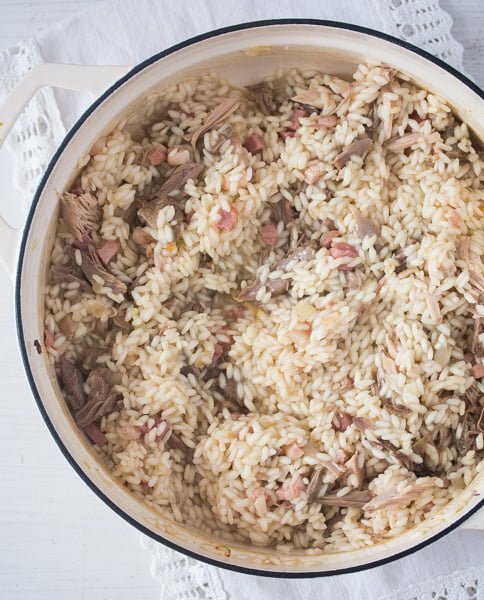 I had leftover meat from some turkey legs this time, but I have cooked the risotto with breast meat as well. However, I prefer legs, breast meat is a bit dryer and I prefer to cook that in a fricassee or soup where there are much more sauce or liquid involved. 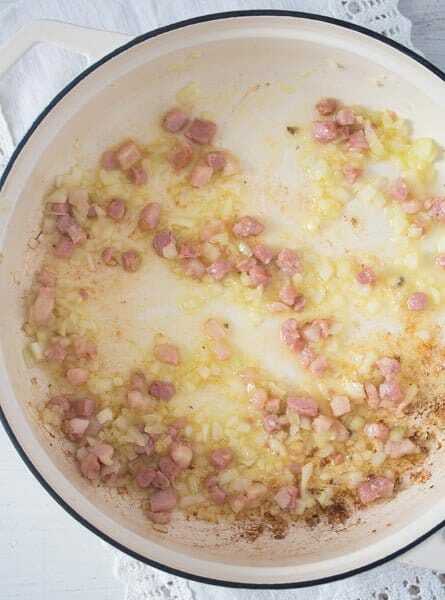 I also had some cooked ham and some bacon cubes, which I also used for the leftover turkey risotto. 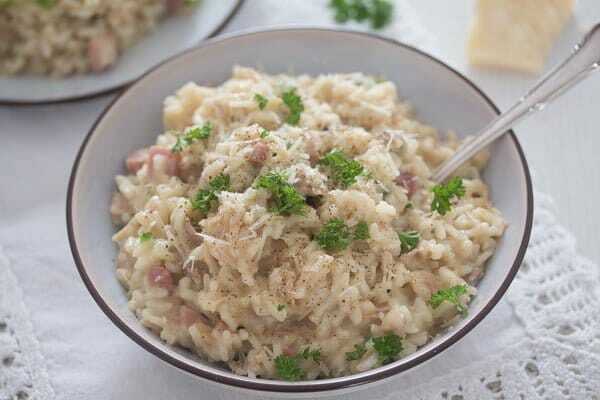 Especially the bacon cubes give the risotto a particularly good flavor. I used homemade chicken or turkey stock to make the risotto with leftover turkey, but if you don’t have it, do use your favorite chicken stock brand. If using stock made from a cube, make sure the liquid is not too salty. If so, add a little more water and be cautious with the seasoning once the risotto is ready. Making risotto is easy. The fact that most recipes tell you that risotto has to be stirred continuously for about 20-25 minutes puts many people off from ever cooking risotto. Stirring the risotto a lot is definitely mandatory, but to tell you the truth, I have only stood by the pot and stirred continuously only the first couple of times I have made risotto. 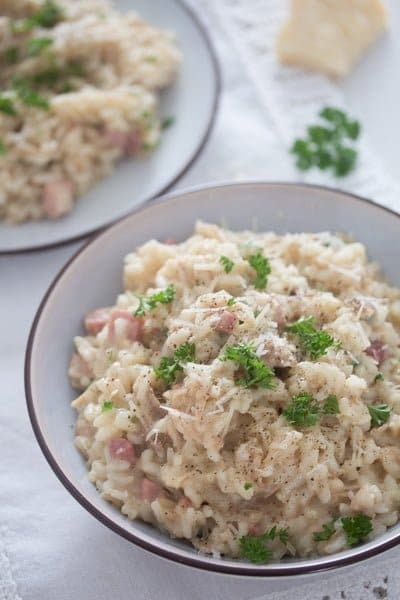 We absolutely love risotto in this house, but I have noticed that the continuously stirring task, did kept me from cooking risotto as often as I had wished, so I gave up the continuous stirring thing pretty quickly. I do stir a lot (more than I stir any other dish), but to say that I do so continuously would be a lie. I stand by the stove, do other stuff nearby, and stir often, that’s it! And nobody has ever noticed any difference between the “continuously stirred” risotto and the “often stirred” risotto. 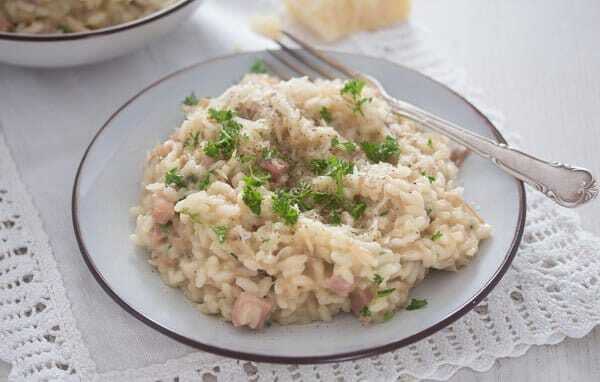 You might have that expectation if you happen to order risotto in a restaurant, but you will find that home cooked risotto is fine when it is only often stirred.
) and I thought I might just give a try, it was totally new to me. I love it, the risotto was indeed super smooth and creamy, absolutely lovely.
. I heat that up and leave it on the lowest heat during the entire time I need to cook the risotto. Finely chop the onion and cook it a mixture of olive oil and butter. When it turns glossy, add the risotto and turn it around in the pan to coat it in fat. Keep stirring it for a few more minutes until it becomes translucent. Add the white wine and let it reduce completely. Slowly, start adding the hot chicken (or turkey) stock, one ladle at a time, stirring often and only adding the next ladle of stock when all the liquid in the pot has been absorbed. Keep doing this, stirring often, until all the stock is used and the risotto is cooked through, but not mushy, this will take between 20 and 25 minutes. In the meantime chop the leftover turkey meat. Give it to the risotto during the last 10 minutes of the cooking time to make sure it is thoroughly heated through by the end of the cooking time. Mix the egg yolk with the freshly grated Parmesan cheese, full-fat milk or heavy cream and seasoning. Take the risotto off the heat and stir in the egg mixture. Add the remaining butter and more seasoning if necessary. Leave to stand for 5 minutes and serve sprinkled with chopped parsley, more Parmesan and a green salad on the side. A glass of white wine would be great as well. So, enjoy your Thanksgiving or Christmas leftovers. Give the chicken (or turkey) stock to a jug saucepan. Heat it up and leave it on the lowest heat during the entire time you cook the leftover turkey risotto. Finely chop the onion. Heat 1 tablespoon butter and the olive oil in a wide heavy bottomed or non-stick pan. Cook the onion until it turns glossy, add the risotto and turn it around in the pan to coat it in fat. Keep stirring it for about 2-3 minutes until it becomes translucent. Keep doing this, stirring often, until all the stock is used and the risotto is cooked through, but not mushy, this will take between 20 and 25 minutes. If necessary, add a little more stock or hot water. 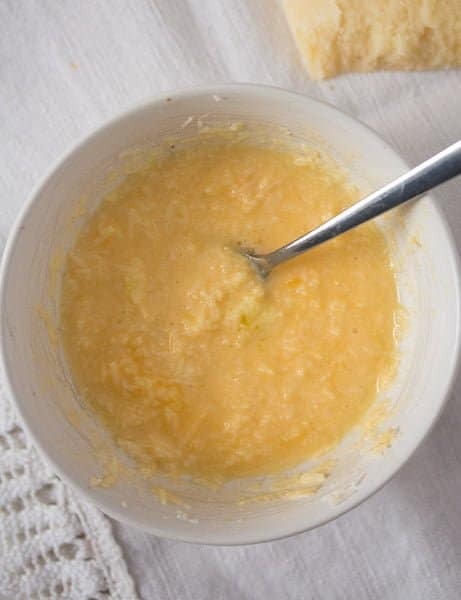 Mix the beaten egg yolk with the freshly grated Parmesan, full-fat milk or heavy cream and seasoning. Leave to stand for 5 minutes and serve sprinkled with chopped parsley, more Parmesan and a green salad on the side. You are right, there is always so much turkey leftover and I always want to transform it into something totally different. 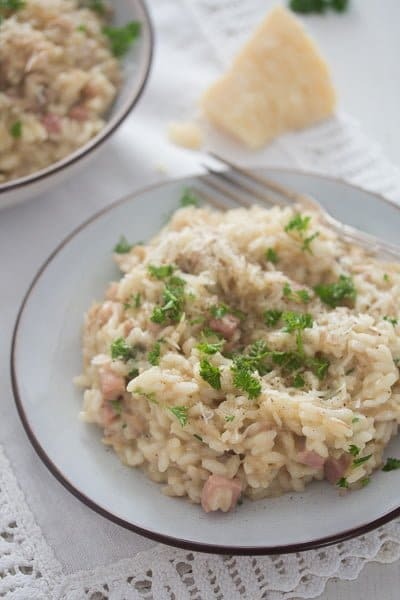 This risotto is a great idea and looks truly wonderful!